The Zhen Jiu Zi Sheng Jing (The Classic of Supporting Life with Acupuncture and Moxibustion) Volume IV-VII by Wang Zhizhong as translated by Yue Lu (with editing by Lorraine Wilcox) is the second half of an absolutely phenomenal resource for the clinical use of acupuncture and moxibustion. This text stands out amongst many of the classics for several reasons: the first is that Wang Zhizhong was a keen researcher, who would not only compare source materials against each other, but also cite which source materials he compared, and how they were the same or different. Secondly, while Wang was a gatherer of information, he was also practical, and this book is filled with his many pearls of how he used a point prescription, why, and what the results were of his own tests of the material. Thirdly, to date there is no other classical text which is as complete in subject matter as the Zhen Jiu Zi Sheng Jing. Wang categorized not only the point locations, and the methods for their use, but systematically collated 196 diseases from the most exterior down to the deepest levels, documenting multiple presentations and treatments for each disease. Lastly, Wang's primary focus was on supporting or nourishing life through the use of these techniques, and therefore there are a significant number of these treatments that either use moxibustion as the primary treatment method, or use moxibustion in addition to the primary treatment method. This second part of this two volume set includes the clinical information in chapters IV-VII, as well as a massive index of all entries for both books, and this gloss contains over 4000 words, many of which have never been translated before. In the modern age, we are extremely lucky to have access to the classical sources for East Asian Medicine, and this is partly because of the hard work of translators like Yue Lu and Lorraine Wilcox. We hope that you enjoy this most recent edition to our growing library of classical sources. The historian Jacques Gernet describes the Southern Song dynasty (1127-1279) as the ‘Chinese Renaissance’.1 Despite the inherent difficulties of making direct comparisons of one culture and historical period to another, he nevertheless elucidates some interesting trends in the evolution of ideas in China. Comparing the relative dynamism of the Song to the aristocratic, somewhat sclerotic ‘medieval’ nature of the last years of the preceding Tang, Gernet paints a picture of a culture rediscovering its roots as ideas spread from the elite into a broader, educated populace. Largely due to the explosion in population and trade during the Song, there was greater mobility and interaction of many threads of Chinese culture during this period. Like other aspects of society, medical practice was subject to the influence of ideas not only from the classical past but also from cross-fertilisation amongst the various ‘folk’ traditions of the time. In parallel to trends in Chinese herbal medicine, the Song has been remembered as a time of consolidation, collection and comparison of texts from the foundational Han era. This consolidation turns out to be a necessary precursor to the famous innovations in medical ideas that were to follow in later dynasties.2 One of the most famous texts still extant from the Southern Song period of Chinese medical history is The Classic of Supporting Life with Acupuncture and Moxibustion (針灸資生經, Zhēn Jiǔ Zī Shēng Jīng) by Wáng Zhízhōng (王执中). Last year, Dr. Yue Lu completed her excellent translation of the text with the publication of volumes IV-VII by the Chinese Medicine Database. The entire two-book project was edited by Lorraine Wilcox. Like all texts we have received from the long history of our medicine, it is helpful to consider the work of Wáng Zhízhōng in the context of time and place. Born into the region near the Southern Song capital of Hangzhou, Wáng spent much of his life as a lower-level official in the relatively provincial areas of Hunan and Hubei. During his time, life in these areas was subject to the pressures of defending a frontier from the various steppe tribes who had established an array of border states to the north. In fact, some of these very tribes had forced the Song court to move south to Hangzhou a generation before Wáng’s birth. Eventually, the Southern Song would succumb to these pressures in the Mongol invasions, which would lead to the establishment of the Yuan dynasty. Needless to say, Wáng lived in an era of dynamic tension. Despite (or possibly because of) these pressures from the North, Southern Song culture thrived.3 Building upon the great educational reforms of the Northern Song, the dynasty in the south maintained schools of Chinese medicine and promulgated standard versions of texts and imperial examinations. In fact, the version of the Inner Classic (內經 Nèi Jīng) used to this day was collected and edited by a committee of scholars in the Song.4 The dissemination of ideas was facilitated by a concurrent expansion of the availability of printed texts and the presence of lively trade routes in southern China. Thus the hallmark of Southern Song culture was a tendency to turn a critical eye towards the past; looking for ideas in governance, technology, literature and science that could be gleaned from earlier eras while innovating in the face of challenging times. During this era, the scholar officials who spread throughout the Song domain were trained in a variety of classical texts including both the Inner Classic and the Classic of Difficulties (難經 Nàn Jïng). While we know little of the life of Wáng Zhízhōng, we can see in his work the careful mind of a scholar who draws from extensive clinical experience. In reading his work, one is immediately impressed by the breadth of the subject matter and the critical eye he brings to the information he was able to procure. Having access to definitive copies of classical texts, he was able to turn his scholarly skills to evaluating their worth in medical application. The first two volumes of the text (found in the first book in the series) elucidate the location of acupuncture points, first by regions of the body then by associated channel. In this section, Wáng comments on point locations, names and stimulation techniques based on his research and clinical experience. Information from this section, including the description of 21 non-channel points, was to provide source material hundreds of years later for the Ming dynasty classic The Great Compendium of Acupuncture and Moxibustion (針灸大成成). The final five volumes (mostly in Dr. Yue’s book two) provide the distillation of Wáng Zhízhōng’s clinical research. An impressive array of diseases are considered and treatments with acupuncture, moxibustion and herbs are described. What makes this text useful to practitioners is the relatively modern organisational structure chosen. The reader might choose a particular condition, then read what Wang learned from his classical research while benefitting from his editorial choices. Namely, if he did not find an idea or point prescription from the classics to be useful, he was less likely to include it in his work. In fact, in some cases Wáng is quick to point out which approaches he uses in the clinic and which are reputed to be useful by others but not tested by him on his patients. For example, he describes one doctor’s treatment for numbness on the hands where moxa is used at Zhigou SJ-6 but speculates that it may be better to use moxa on LI-4 for these conditions. In another section on emotional conditions he mentions that he ‘always applies moxibustion on Du-20 in cases of anxiety, worry and sorrow’ due to Heart disease. In a section describing ‘small instestine qi’ (involving stabbing abdominal pain), Wáng mentions trying a recommended moxa technique on the bottoms of the second toe that produced less than adequate effects, while herbal medicine finally helped the patient. In a section on treating nosebleeds, he tells of working on his own mother and trying first herbs (unsuccessfully) then moxibustion (sucessfully, at Shangxing DU-23). These types of clinical descriptions alongside his collections from the classics bring the text to life. In his disease discussions, Wáng emphasises distinct clinical methods and principles. 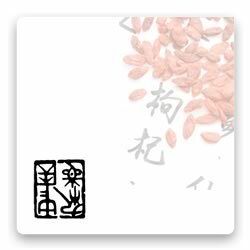 The first reflects the Song dynasty trend of reviving the practice of moxibustion. Of the 80 odd cases presented in the text, nearly half involve the use of moxibustion. His belief in the use of heat is further elucidated by his advocacy of fire needling (the use of flame-heated needles) and warm needling (the use of heat conducted through the needle). Secondly, Wáng advocates clinical flexibility and empirical application. For example, when discussing admonitions against the use of acupuncture based on time and weather, he advocates disregarding these prohibitions in ‘urgent and difficult conditions’. Thirdly, The Classic of Supporting Life strives to standardise acupuncture by advocating proportional measurement and careful point location. Even here however, Wáng defers to clinical experience when he advocates checking for tenderness as a necessary prerequisite for finding effective points. In a section titled ‘Locating Points’ he advocates the need to ‘thoroughly discuss’ the variances in body types and tissues so that we might ‘locate the points carefully, peacefully and serenely’. My teacher, Beijing professor Wang Ju-yi (王居易) has long emphasised the importance of this text to his students. He points out how, coming across this text in the 1960s, he was finally able to bring some life and flexibility to his understanding of the mechanisms of acupuncture. He noted that he would use The Classic of Supporting Life as a way of fleshing-out his understanding of point function. He described a process by which he would look up a given disease in the The Classic of Supporting Life to see which points it recommended for treatment. He would then turn to other classical texts to see what they said about those points. By comparing and contrasting the various linkages of points to diseases, he could then make some inferences as to how a given point affected the qi dynamic (氣 機, qì jī) of the channels. In other words, he utilised the Classic of Supporting Life not only as a means of finding treatments for difficult patients but also as a window into how a great scholar-physician may have understood physiological process. For this English translation, Drs Yue and Wilcox have added much that will be useful to the reader. The entire text is reproduced in Chinese with translations following line by line. As a Chinese reader, I found this to be incredibly gratifying as the translations repeatedly clarified for me possible areas of confusion in the original. For non-Chinese readers, the proximity of the original to the translation provides ample opportunity for learning. Possibly more importantly for the English reader are the extensive appendices and indexes. These sections include over 100 pages of carefully cross-referenced signs, symptoms, disease names, point names and much else. Just reading through the appendices and flipping to the page of interest has provided me with many new insights. For example, many of us see patients with various digestive disorders and food sensitivities in our clinics and need other points and ideas to explore to treat these difficult conditions. The index meticulously breaks down specific symptoms that might be involved in these conditions (intestinal rumbling, cold sensations, variations in bowel movements etc.). In addition, there are distinct sections on ‘Intestinal Afflux’ and ‘Intestinal Pain’. From reading these, we see a doctor dealing with relatively familiar conditions brought on by lifestyle choices. There are also appendices covering cited classical texts, single herbs and herbal formulas - all cross-referenced to the main text. I have long been a supporter of the Chinese Medicine Database and the tireless efforts of the team there led by Jonathan Schell. For me this work represents a significant contribution to that dream of Mr. Schell’s to ‘bring as many classical works to the English speaking world as I can’. My hat is off to all of you who brought a bit Song dynasty medicine to us. 2 For those interested in a brief summary in English of the Jin-Yuan medical innovations, most famously in the realm of herbal medicine, please see www. itmonline.org/arts/jinyuan.htm. In terms of acupuncture, innovation can be seen later in Ming dynasty texts such as An Exposition on the Eight Extraordinary Vessels (see translation and commentary by Charles Chace and Miki Shima). 3 For a lively and detailed discussion of life in the Southern Song capital of Hangzhou see Gernet, J. (1962). Daily Life in China on the Eve of the Mongol Invasion. Stanford, CA: Stanford University Press. 4 In 1057, a group of Song dynasty court scholars, led by Gao Bao-Heng (高保衡) produced the edition of the Basic Questions (素問) used today. The group was also charged with creating a definitive edition of the Divine Pivot (靈樞) but there is no evidence that this section was collected and annotated. Modern versions of the Divine Pivot are likely similar to one compiled in the Tang dynasty by Wang Bing (王冰) in 751 A.D.